Eurodollar reached the group of lower fibo levels at 1.3600 – 1.3590 and has been trying to rebound from it over the last 24 hours. Most likely, in the nearest future market may start new correction, at least, with target at level of 23.6% (1.3680). I’ve got buy order with stop placed below target area. 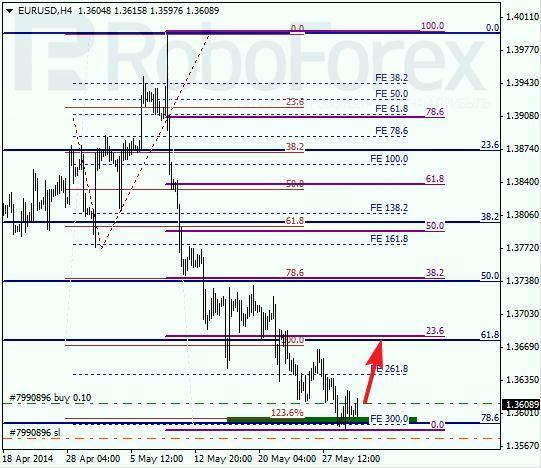 As we can see at H1 chart, price rebounded from its main targets right inside temporary fibo-zone. Possibly, pair may leave this trading range during Friday. If it happens, I’ll increase my position. After reaching the group of upper fibo levels, Franc is trying to rebound from it. In the near term, pair may start new correction towards level of 23.6% (0.8925). Future scenario depends on how instrument will move inside this target area. 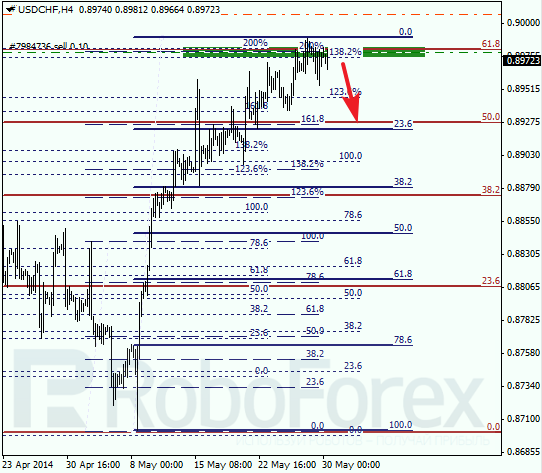 As we can see at H1 chart, price is moving inside temporary fibo-zone, which means that market may reverse quite soon. 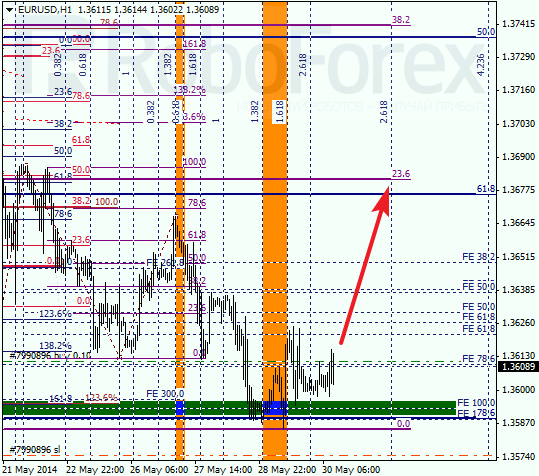 We should note, that if pair breaks level of 61.8%, I’ll close my sell order and open buy one.